Ultrasound scans (may be referred to as a sonogram) are increasingly being used for dynamic imaging of soft tissue injuries. For injuries, such as shoulder ligament tears, ultrasound scanning can be carried out by a Consultant Radiologist with a particular interest in musculoskeletal injuries. In addition some Consultant Orthopaedic Surgeon may also be able to provide ultrasound scanning as part of their injury assessment. When steroid injections are being provided, the Consultant may deliver the injection under ultrasound guidance. This is referred to as an injection under image guidance to help ensure the injected material is deposited in precisely the correct place. 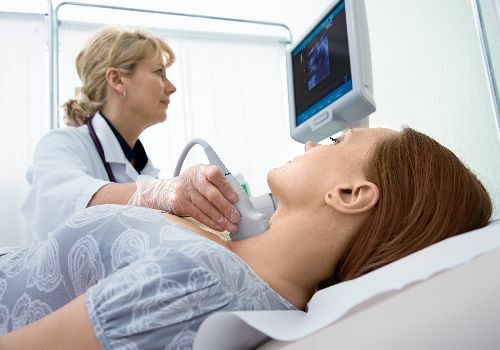 Ultrasound scanning has an advantage of being able to be carried out within an outpatient consulting room setting with relatively modest cost equipement. the technology uses sound waves and has little risk to health. Alternative live imaging can also provided with fluoroscopy (x-ray technology). This requires large and specialist equipment as may be treated as a form of theatre procure. Fluoroscopy involves the use of live x-ray imaging. A patient will therefore be exposed to radiation however the level of exposure and risk is considered to be low. Please note, whilst the health risk of the above procedure is thought to be low, as with any medical procedure, there is an element of risk. It is therefore the policy of TraumaCare only to provide the procedures where there is a positive health benefit to the patient.